Conflict within the Indian-administered areas of Kashmir and Jammu between India and Pakistan has been a long standing concern of many constituents in South East England. Three or four wars between India and Pakistan have resulted from the long-running dispute. The conflict has now been going, off and on, for over 70 years. A ceasefire brokered in 2003 was in force for around ten years and was broken in 2014. Over the past two years the situation has deteriorated further. In 2017, there were 451 killings. 80 journalists were beaten up. There have been bans on internet use and social media. Incidences of torture have been reported. There have also been increasing incidences of the relatively new phenomenon of braid and hair chopping - attacks by unidentified assailants on women, often knocking them unconscious and then chopping off their hair, there are also reports of systematic rapes. There is now a whole generation of people who have no other civil experience other than war. Indian diplomats and civil servants of good intent despair of the situation. Any notion of winning the hearts and minds of the Kashmiri people to Indian rule were abandoned to a strategy of meeting terror with terror. Yet both terrorism and state sponsored violence have failed to produce a lasting peace nor the acquiescence of the population, particularly in the Kashmir valley. At the root of the problem remains the basis of the original decision by the British when withdrawing their colonial presence to place the future of Kashmir into the gift of the local maharaja rather than placing faith in the people. Now 70 years on, while it remains a UN mandate, the notion of a popular vote being allowed to determine the future of the region any time soon is fanciful. The publication, however, of a report by the UN Human Rights Commissioner on 14 June 2018 provides a focus and an opportunity to make progress. 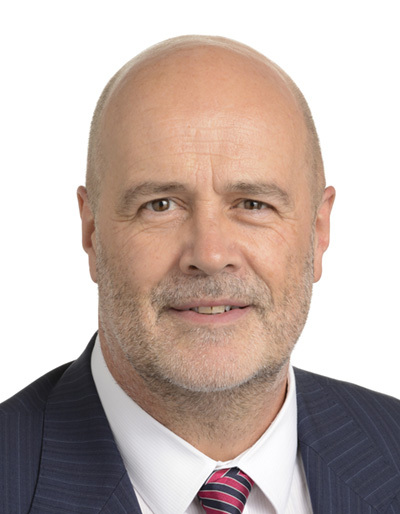 Speaking at the UN in Geneva shortly afterwards John Howarth MEP called for the central proposal, of an independent commission of inquiry to be accepted and for systematic abuse of human rights to end. 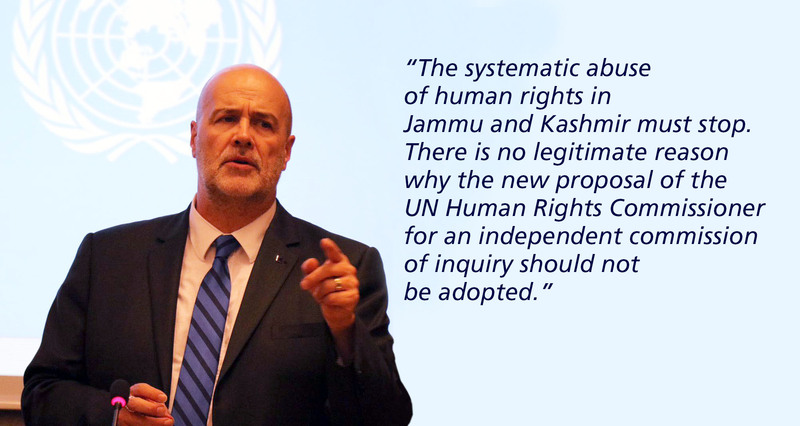 John has raised the issue of human rights abuse in Kashmir by the Indian security forces in the European Parliament. He also attend a seminar organised by his European Parliamentary Labour Party colleague, Wajid Khan, to raise awareness and hear about the experiences of Mrs Shameem Shawl, the Chair of the Kashmir Women’s Forum, and a representative of the International Muslim Women’s Union at the UN Human Rights Council. The seminar discussed the violations of international human rights standards through the rampant use of pellet guns by the Indian army and the state police (a report by Amnesty International outlined the cases of 88 people whose eyesight was damaged, some temporarily, some permanently by metal pellets between 2014 and 2017), and the horrific circumstances of the Asifa Bano case. What is different now to previous escalations of violence is that smartphones and social media have provided evidence of human rights abuses. A settlement is badly needed and until the situation changes it will continue to damage the reputation of India. If the Indian security services have nothing to hide they have nothing to fear from the independent commission of inquiry the June 2014 proposes. This should be followed by international observer access. Agreement between India and Pakistan is essential, but enabling Kashmiris to reach a position where they can effectively govern themselves should be the eventual aim. This area of extreme natural beauty is at the centre of a geopolitical region where there is much to be gained from enabling trade and normality to develop and where the threat of conflict between nuclear armed powers should not be ignored. If there is a power capable of acting as intermediary it is potentially the EU as it doesn’t carry historic baggage in the region and it seeks to develop trade agreements with a human rights element. John. Is working with the Friends of Kashmir group in the European Parliament to raise awareness of these horrific crimes and abuses of human rights, to deliver an up-to-date position of the Parliament and to represent the concerns of the 5 million Kashmiris in Europe including the many in South East England.